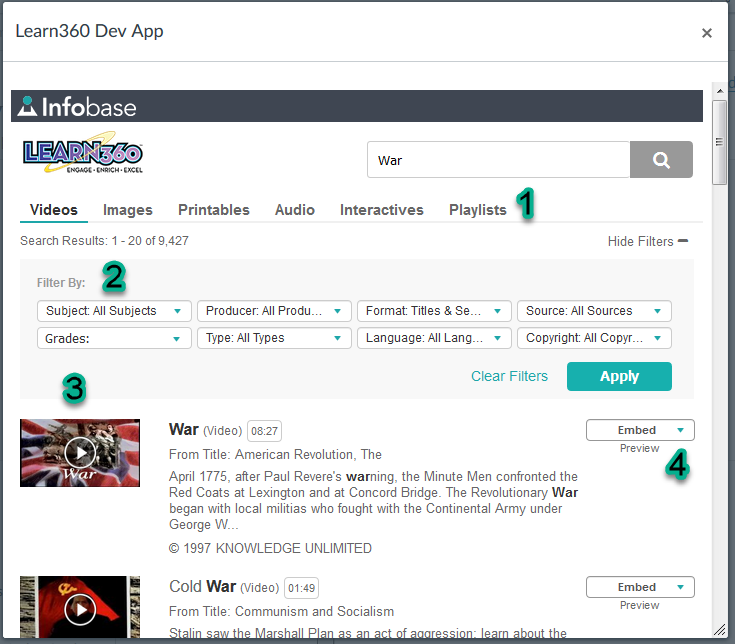 Customers using the Canvas learning management system can embed content from their products directly into their courses. For installation instructions, please refer to the Canvas External App Installation article. The LTI app provides a rich integration between the product and your Canvas course. Users of Canvas can embed product resources directly inside their courses, without having to leave the LMS. 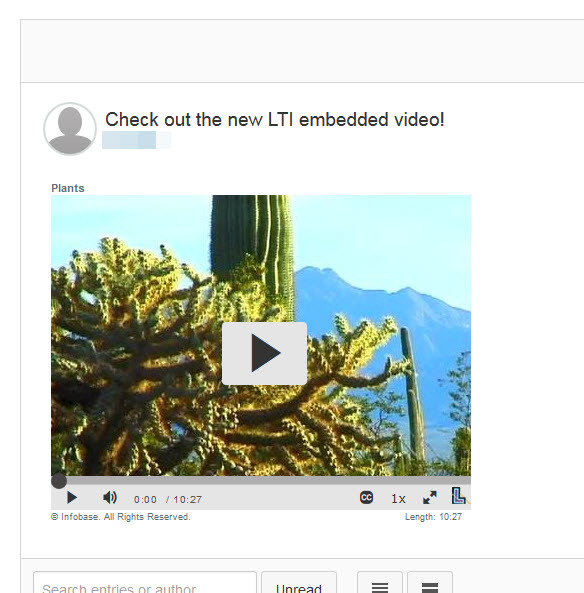 This plugin is LTI based and integrates directly into the standard Canvas HTML editor. LTI based application that does not require any user account maintenance with the product. Seamless user experience that allows users to embed product resources directly into Canvas courses, without leaving Canvas. Once installed, product resources may be embedded using the product button found inside Canvas. Any content block that loads the HTML editor will have this icon. Once you click this button, you will see the below embed content window. You should see the product search box as shown below. Enter a keyword or phrase in the box and click Search. Your search results will resemble the below image. Preview: Displays the content in a player for preview. Once you have chosen a file to embed, click on the Embed button.